Welcome to Christina’s Restaurant - Delectable Home - Cooking Away from Home. 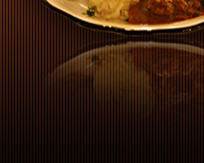 For over 17 years, Christina’s Restaurant has pleased its customers with distinctive Polish cuisine at modest prices. It is here that your expectations will be exceeded after just one savory bite. If you’ve ever had Polish food before, you’ll love our authentic recipes and wide variety of dishes. If you’ve never had the pleasure, then get ready to take your taste buds on a delicious ride. No matter what you are in the mood for, when you visit our restaurant, we know you will find something you love!